Personal attention and proprietary investment advice reserved exclusively for members of Pat McKeough’s Inner Circle. Pat’s proven expertise is available to guide the investment decisions of new Inner Circle members. Take this opportunity to join Pat’s exclusive investment group. If you’re like most of the members of my Inner Circle, you’re either looking forward to … or already enjoying … a comfortable retirement. You’ve worked hard, you’ve made some money, and now you want your money to work for you. You’re willing to take some risk — that’s to be expected with any investment opportunity — but you can’t afford to be reckless in your choices. You’re essentially a conservative investor. You might want to be a little more aggressive in your investment strategy — and earn some higher profits — but you’re not comfortable making all the decisions alone. You’d prefer to have an expert like me to advise you. Beyond reading my stock picks and strategies in my newsletters and special reports, you’d really like to ask me some personal investment questions and get specific recommendations. You can get Pat McKeough's specific answers to your personal investment questions. When Pat's proven expertise is available to guide the investment decisions of only a limited number of new Inner Circle members, why would you risk being left behind? Yes! I want the personal attention and proprietary investment recommendations reserved for members of Pat McKeough’s Inner Circle. I understand I'll receive four special investment advisories, exclusive quarterly market recap letters and all of Pat's special reports. I'll have full access to the members-only, password-protected Inner Circle section of the TSI Network website, plus I'll be able to ask Pat personal investment questions and receive his specific recommendations. Smart reason to join Pat McKeough’s Inner Circle #1 You don’t want to make important investment decisions without consulting an expert. That’s understandable. Why go it alone? Few part-time investors have the resources and experience to research stocks as thoroughly as I do. My staff and I put hundreds of hours into seeking out the little-known, overlooked, undervalued issues that have the highest upside potential and the lowest downside risk. And I bring to each recommendation my hard-earned expertise in both fundamental analysis and portfolio management. Smart reason to join Pat McKeough’s Inner Circle #2 You don’t completely trust brokers and advisors who make commissions selling you investment products. I agree. There are far too many people in the investment industry who make a living not by earning, but by churning. You buy the stock, then sell the stock. It doesn’t really matter to them, as long as they make a sales commission. But when you join my Inner Circle, you are guided by investment advice that’s untainted by commissions, bribes, greedy biases or other undisclosed influences. I swear to it. Smart reason to join Pat McKeough’s Inner Circle #3 From time to time, you’d like to ask a question that’s unique to your personal investment strategy and get a specific, expert recommendation. Of course you would. No two investors share the exact same circumstances and objectives. No two portfolios are identical. And every savvy investor has questions. When you’re a member of Pat McKeough’s Inner Circle, you’re entitled — even encouraged — to ask questions. And whenever we answer investment questions from Inner Circle members, we email a copy of the question and our answer to all our members (deleting members’ names and any identifying information, of course). In my opinion, this email exchange is worth the price of Inner Circle membership all by itself. I don’t know of any comparable source of personalized, professional, unbiased investment advice — at any price. Sign up to get Pat McKeough's specific recommendations to your personal investment questions. If you don’t already know me from my books, newsletters and many television appearances, here’s a brief summary. At the risk of sounding immodest, I’m an expert — and I’ve got the track record to prove it. As a professional investment analyst for more than 25 years, I’ve developed a stock-selection technique that is proven reliable in both bull and bear markets. My proven approach to investing focuses on stocks that provide exceptional quality at a relatively low price. It’s considered by many savvy investors and industry leaders to be the most powerful stock-picking method ever created. My conservative growth portfolio generated a 453.2% return since 1995 (231.3% above the 221.9% gain of the S&P/TSX) in some of the most volatile markets in history. My job is helping investors like you prepare for a secure, worry-free, retirement by suggesting stocks that will enable you to attain financial freedom. I do that by researching companies that have very little downside risk and have above-average growth potential. Usually their stocks have been overlooked by investors who missed critical information, or are unable to interpret it. Bottom line: My conservative, reduced-risk strategy is a proven approach to safe investing. In other words, I help you make money by finding low-risk, high-yield investment opportunities. …my assets have doubled from October’s lows of 2008… I have found your recommendations and advice most helpful in the last year. I would rate you as one of the best out there in offering financial advice and information about investing. It has been greatly appreciated. Thanks for the excellent advice so far. 2009 is my best year ever (44% so far this year), so retirement may come sooner, thanks to you. Patrick McKeough’s Inner Circle service provides impartial advice of immense value to any investor wanting credible and reliable information upon which sound decisions can be made. Patrick’s insightful counsel has made us a significant amount of money and reduced our exposure to unnecessary risk. Steady wins the race and Patrick is in the lead. Keep up the good work. I’ve been in the Inner Circle for years and am profiting nicely. 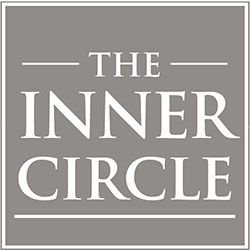 Subscribing to all 4 of your newsletters through Inner Circle gives me a balanced view of what is happening in the North American stock market – all without the usual hype of buying any particular stock. I am so glad I “stumbled” across your site a few months ago. Thank you for your sound investment advice for it provides one with confidence and peace of mind that one is likely to survive no matter in what direction or how hard the winds of change may blow. I’m sleeping so much better these days based on the knowledge that I’m far better positioned going forward. Our most sincere wishes to you, your family and the Inner Circle staff. I trust your advice to keep my feet on the ground and my mindset stable. Since I signed up for Inner Circle last year, I’ve found your reports useful, topical & interesting! We would like to take this moment to thank you all for the wonderful advice that you have given us year after year. Through your Inner Circle, you have given us the confidence to manage our own financial future in this fascinating and ever changing world. We are very grateful. I’ve been a member since the inception of this service and I really appreciate the broad picture that emerges from everyone else’s questions. I would like to take this opportunity to thank Pat and his staff for the always reliable service and the excellent, well-written hotlines and Inner Circle reports. I’ve been a member of the Inner Circle for almost two years and I have to say it’s had the most positive effect on my portfolio and my enthusiasm for investing of any move I’ve made in many years. We members have come to recognize you and your staff as an invaluable resource of clear and practical advice. I do appreciate all of the excellent work, research and most of all honesty behind what the Inner Circle team are doing. The work is greatly appreciated by those who read these gems. A long time member but only recent Inner Circle Member, I find myself more and more impressed with your advice and with the uncanny, nay canny, timeliness of so many of your calls. I should have done this a couple of years ago. I have profited from your advice in the past and the only time I have regretted any decision was when I did not heed your advice and sold too soon. I hope I have learned a lesson. I have only one regret -– that we didn’t discover you 10 years ago. So far, our investments, on your advice, have gained us 27 percent on our portfolio and would have been much higher if I had not attended an investment seminar which recommended that I put stop sells on some of our larger holdings. Your membership in the Inner Circle, the most exclusive and valuable investment organization ever created, entitles you to so many benefits. With your Inner Circle membership, you’ll have access to very private, very exclusive and very personalized investment information. I’ll personally guide you with my one-on-one investment advice that’s tailored just for my readers. As an Inner Circle member, you can post your own specific questions about a particular stock, financial news item, sector forecast, geopolitical event … anything you want a trusted investment perspective on. And your membership in this elite group doesn’t stop with questions and answers. You’ll also get added insights and advice into the market and how it can affect your investments. As a valued member of my Inner Circle, you will, of course, get special investment backgrounders, plus PDF files of all four of our monthly newsletters, plus all the Special Reports we create, plus special, time-sensitive email updates. In other words, any time we publish anything, I’ll email you a copy the instant it’s finished. I’ll even mail a printed copy instead, if you prefer. There is only one “catch,” but it actually works in your favour by preserving the exclusive nature of my service. Due to the highly confidential nature of the information and benefits I’ll be providing members, you will be asked to sign an “Agreement of Privacy” when your New Member Packet arrives. This binds you to keep what you learn as a member confidential and not mass distribute the exclusive information you receive. Don’t be left standing on the outside looking in. I urge you to join my elite, private Inner Circle today! You can get Pat McKeough's specific answers to your personal investment questions. Act now.